Still working on the concept designs for my orcs. Starting to get the structure to portray ‘pig like’ and ‘fat’ rather than ‘strange’ and ‘large’ while still showing that they’re a threat, but they still have a ways to go. What do you think? Am I missing some key element? Leave me your thoughts in the comments below, and maybe I’ll integrate your ideas into the next revision. 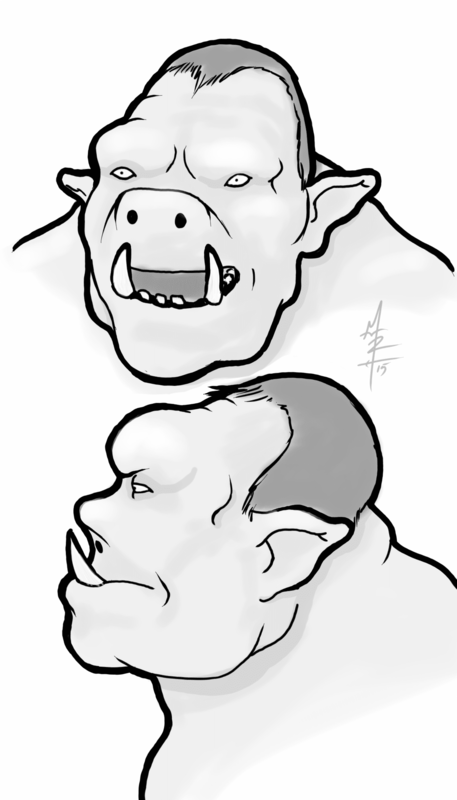 Tagged concept art, digitial art, drawing, greyscale, orc heads, orcs, samsung note 10.1, sketchbook pro for android. Bookmark the permalink.